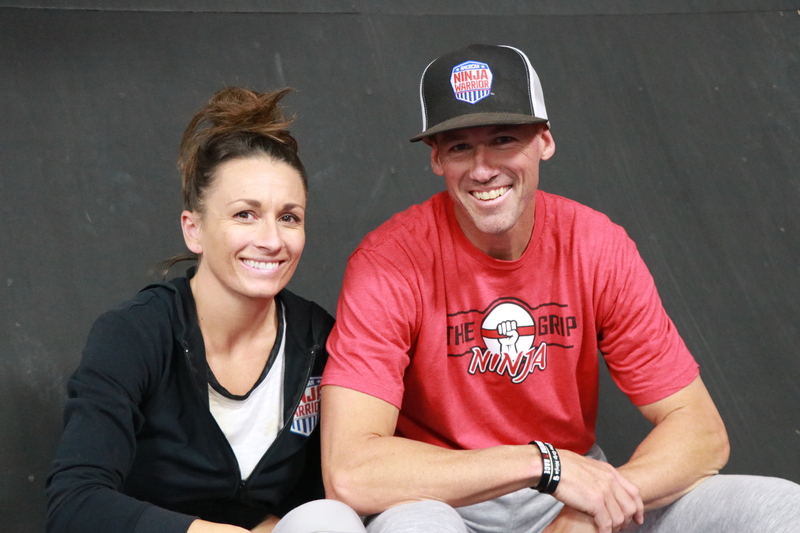 WASHINGTON CITY — When the Brian and Holly Beckstrand family first started watching “American Ninja Warrior” competitions on television a few years ago, they never imagined the major role it would end up playing in their lives. Brian and Holly said they started off by building some handmade obstacles in their own backyard as part of their oldest son Taye’s birthday party about five years ago. The Grip Fitness Center, located on Washington Dam road, is now a flurry of activity most afternoons and evenings six days a week, with kids of all ages (along with a number of adults) taking classes or coming in for a quick workout during open gym time. 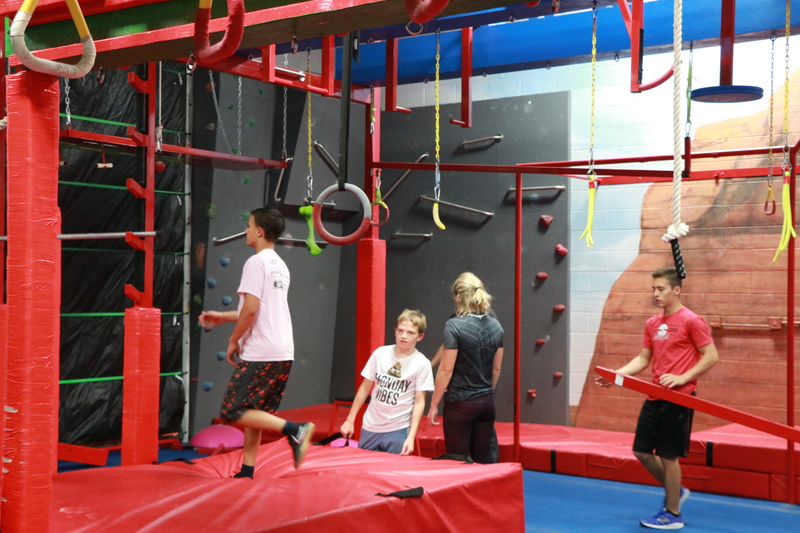 The building’s interior space is filled with a wide array of obstacles, including ropes, balance beams, climbing rails, handholds and various other types of physical fitness equipment designed to pose athletic challenges. The floor is lined with foam pads and mats to cushion against falls. 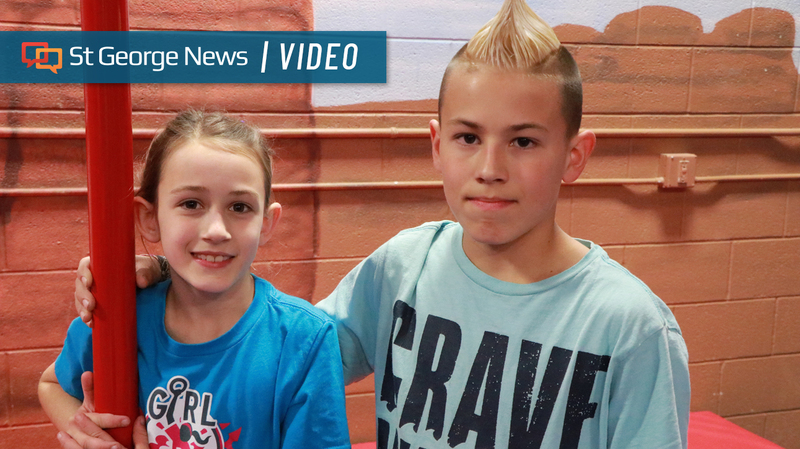 Earlier this summer, “American Ninja Warrior Junior,” a new kids-only version of the show, taped its first season in Los Angeles, and two of the Beckstrand children were part of the competition: 13-year-old Kai and 9-year-old Baylee. The Beckstrands say they aren’t able to disclose how either of their kids did on the show until after the episodes air, but they did say Baylee is scheduled to appear on the episode being broadcast Saturday evening, Nov. 17 on Universal Kids Network. Click here for schedule and guide to the network’s TV channels. Kai’s episode will likely air sometime in December, his mother said, adding that they have not been told which date yet. Both kids said they had an enjoyable experience appearing on the show, which attracted young competitors from all around the United States. “I thought I did really well,” said Baylee, who added she enjoyed making friends with her fellow athletes. She said she had to navigate spinning logs and other obstacles during her race. “They had these things that swing different ways, about three feet apart,” she said. Kai, a seventh-grader, said he also encountered some unique challenges during his competition, including a device called a “sonic swing,” which involved swinging on two ropes across a series of angled steps. “I was a little nervous before it started, but as soon as it started, I knew I could do it,” added Kai. Brian Beckstrand, who also works as a volunteer firefighter for St. George, said ninja fitness training is more than improving one’s dexterity and athleticism – it also builds self-confidence and teamwork. “Sometimes you compete against others, but you’re mainly just competing against yourself and your abilities,” added Kai. And while all five of the Brian and Holly Beckstrand’s children (Taye, 15, Kai, 13, Luke, 11, Baylee, 9, and Kaleah, 6) are involved in ninja fitness and related activities, they also have extended family members who are accomplished athletes. In July, their teenage cousin Alex Beckstrand won first place in his age category at the Ultimate Ninja Athlete Association Championships in Albuquerque, New Mexico. Another cousin, Ashley Beckstrand, a former standout guard for Desert Hills High School’s basketball team, now plays college basketball for the Brigham Young University Lady Cougars. For more information about The Grip Fitness Center and its “Ninja Warrior” training classes and activities, visit the center’s website, call 435-218-7304 or send an email to thegripfacility@gmail.com.